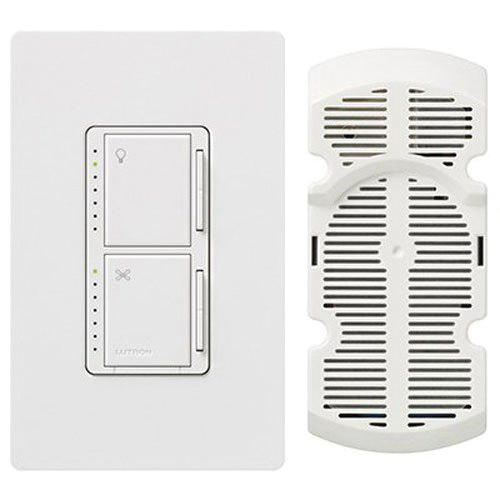 Lutron Maestro® 1-Pole Incandescent/halogen fan/light control switch in white color, has voltage rating of 120-Volts. It has maximum load capacity of 300-Watts for light and 1-Amp for fan. Switch in gloss finish, supports wall mounting for easy installation. It comes with necessary fan/light control, wallplate and fan mounted canopy module.